What are your thoughts on the impact it might have? Was that really 7 years ago all that happened? Time flies. 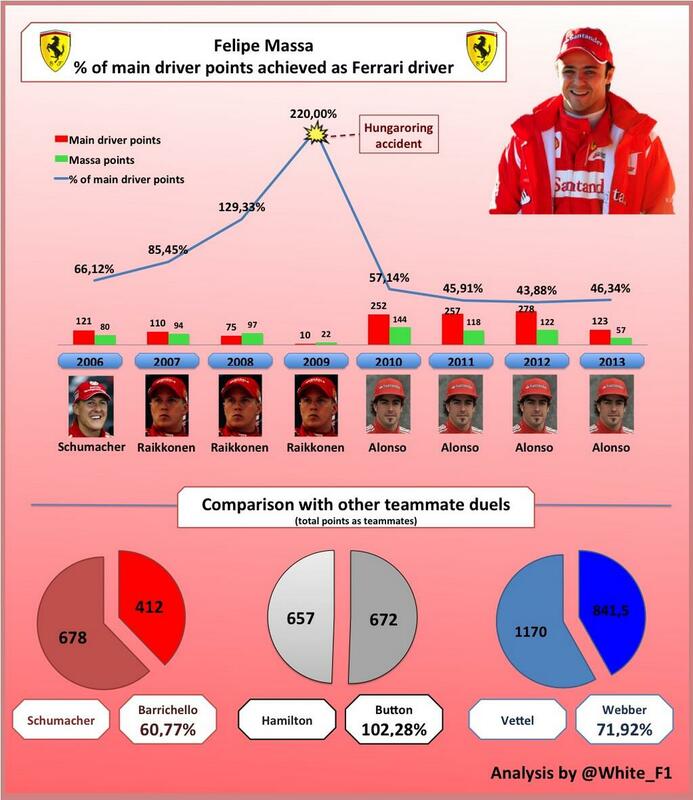 Daniel better than Vettel, Alonso destroying Kimi, crazy world. It's rather unfortunate that his performance dropped after the accident. Thinking he nearly became the 2008 world champion. Never forget. I can't believe this has finally been decided. I've felt since Webber has announced his moving on this has dragged on. Kimi is the next big piece of the puzzle and everything should fall into place after that. Treacle wrote: Seems like Ecclestone and Mateschitz found common ground, and the A1 Ring will be back in 2014. They gave a date of July 6, 2014 occupying the spot formerly taken by Valencia, as well as the spot they occupied as the A1-Ring from 1998-2000. Topic: Raikkonen to Red Bull in 2014? Re: Raikkonen to Red Bull in 2014? If Seb leaves in a year or two, than it would probably be better that they sign Kimi to have an experience driver in the team. But than again he doesn't like to do simulator work, which RB want their drivers to do. Felipe looks a shadow of the driver that we saw from 2006 to 2009. He's had a life-threatening injury and then in his comeback phase had a teammate take away any say in the team he had before. Ricciardo caught in the gravel trap just minutes after starting his session with the Red Bull. It's the public prosecution department of Munich in Bavaria. They're known for their harsh and rigid treatment against suspects. Good luck on this one, Ecclestone. Topic: Sauber to leave F1? Re: Sauber to leave F1?